A basic tutorial on What is Arduino & why is it so popular ? I have posted a tutorial on Arduino Projects, in which I gave all the links of Arduino projects and tutorials posted on my blog, that’s another reason for posting this tutorial. I am treating that Arduino Projects page as an ebook on Arduino so I am gonna post everything about Arduino as much as I can. And an ebook must have an intro chapter, which will be this one. So, let’s get started. Arduino is nothing but a simple microcontroller board which is normally used in engineering projects where there’s a need to automate something. You can interface sensors with this board, can drive motors with this board, can plug switches in it etc. In old ages ( not old enough 😛 ), people used simple switches for turning ON a bulb so like you click the switch and the bulb is ON, it was quite a simple circuit, after that relays are invented and then engineers used 555 timer circuits in order to turn ON lights on some specific time. But the 555 timer circuits are quite big in size, so finally engineers discovered Microcontrollers in which there are simple OUTPUT and INPUT pins, so now if you want to turn on light at some certain time then you just simply plug the blub on output pin of microcontroller and then do some programming and add a timer to automatically turn on the bulb. So, the benefit of microcontroller is the circuit is quite simple and small in size.Moreover, its flexible, suppose you want to change the time of turning ON bulb then what you need to do is simply change the coding and it will be changed, but in 555 timer circuits you need to change the components in order to do so. Now, we know the use of microcontroller and also their benefit but thing is what is Arduino ??? In microcontrollers like PIC or Atmel, there’s a small drawback. Suppose you want to work on PIC then you have to first design its basic circuit also need to design a power circuit to supply power to it and after that in order to upload the code in it, you have to buy a programmer/ burner as well. So, first of all you need to write the code for PIC Microcontroller and after that you need to upload code in it using a programmer and then plce PIC microcontroller back into the circuit and test, which is quite lengthy plus also got hectic when you are working on some project because you have to test code again and again. By the way, now advance programmers like PICkit2 and PICkit3 can be plugged on board but still you have to design the basic circuit so coming to bottom line, in order to do project with PIC or Atmel microcontroller you have to do soldering etc. But that’s not the case with Arduino Board, Arduino has built in programmer and the basic circuit in it. So what you need to do is simply plug in Arduino with your computer via usb cable, get its software and start uploading code and also start testing. So, you don’t need to plug unplug or do anything, simply upload the code and test. Moreover, it also has some very efficient tools using which you can test your output as well quite easily. Arduino board also has the pins on which you can simply plug your devices and can turn them ON or OFF. So, hats off to Arduino team for providing us a simple board which has everything on it. Another advantage of Arduino is that, because of its popularity all the electronic components also have the Arduino libraries which are free and using them you can operate that electronic component quite easily with Arduino. Its open source and hence its developing day by day. There’s a long range of Arduino boards available online, the basic Arduino board is named as Arduino UNO which is most widely used in projects. Arduino UNO has total 13 digital pins and 6 analog pins which are used for connecting sensors with them. Suppose you have a project in which you want to interface 30 sensors, then what you need to do ?? Now you need to buy another Arduino board named as Arduino Mega 2560. This board has around 70 pins on it which can be used as output or input and hence you can plug your sensors quite easily. Moreover, Arduino have also developed different shields like Arduino Ethernet shield. Using this shield you can provide internet access via Ethernet to your project. Then they have Arduino Wifi shield which is used for providing Wifi access to your project. They have also developed Arduino GSM shield for GSM or GPRS purposes, in short there’s a wide range of Arduino boards available online. So which Arduino board you need to buy depends on the requirements of your project. How to use Arduino ?? Now I think you have got the basic idea of what is Arduino ? and why is it so popular ? So now lets have a look at how to use Arduino. 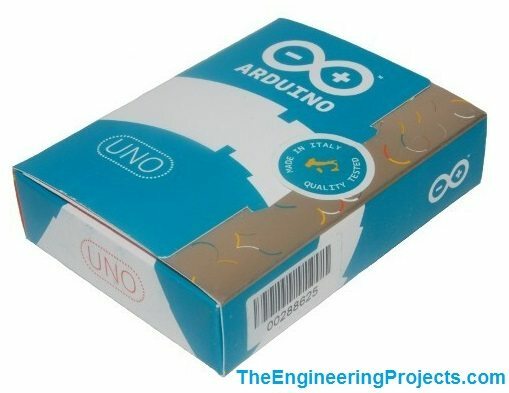 Along with this box, you will also have the USB cable, now take your Arduino board out of this box and plug the cable in it, connect the Arduino with your computer and you are ready to start working on it. In order to connect Arduino with your computer you have to install the Arduino drivers in Windows. That’s all for today, hope I have conveyed some knowledge and you now know the basics of Arduino i.e. what is Arduino ? and why to use Arduino.